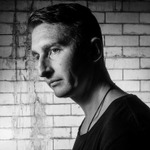 Ben Remember is the newest signing to the elite Toolroom artist roster. A producer who blazed onto the scene with a fresh approach to Tech House – particularly with his renowned drums sound – his brand new production course is a must-see for any student of the genre. Ben’s story is an inspirational one for the bedroom producer community. Having learned his trade after several years of self-training and application, it was only after ten years he was picked up by Toolroom from a demo. Progressing from releasing an album exclusive through to a full management deal, his journey shows what you can achieve by continued learning, application and effort. His debut solo EP ‘Flashwind’ was an instant hit, receiving numerous international radio plays, propelling his name further whilst gaining new fans by the truck-load. “Becoming part of the Toolroom crew was almost a bit daunting, the artists on the label I’ve looked up to and been inspired by to push myself further, its amazing to be part of the gang." Ben's immediate success has seen both remix and event offers flying in; his stunning interpretation of Hannah Wants' 'Just' received unanimous praise, while on the live front Ben has played stand-out performances at Tomorrowland, Boardmasters Festival and the cavernous 02 in Bristol; he will also be featuring in many global Toolroom Live show across the world in 2017 and beyond. Uniquely for the Toolroom Academy suite of courses, this is a masterclass focused purely and squarely on drums. Ben’s chunky percussion and grooves are widely admired in contemporary house music; DJs such as Andrea Oliva, Annie Mac Eats Everything, the Martinez Brothers and Nick Curly have filled their sets with his productions for this reason. Get inside the studio and learn the secret techniques that Ben has employed to make his drums sound as full and as powerful as possible. As Mark Knight states in his Academy course - ‘drums need as much identity as the melody of a track – because they are the backbone.’ Start your productions the right way, and learn from the current master of drums and percussion in Tech House.